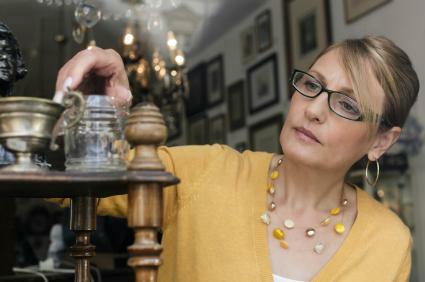 For antiques lovers and collectors, knowing how much your collectibles are worth is important. Fortunately, there are several sources available to provide price lists and other valuable information. Many well-known books are produced annually to provide accurate collectible prices for that year. Written by experts and authorities on antiques and collectibles, these books are often comprehensive, featuring a range of different items and helpful organizational features to help you locate items quickly and easily. Well-known antiques and collectibles authority and author of over 90 books, Judith Miller provides a wealth of information in her Collectibles Price Guide. In addition to lush photos and pricing information, Miller's book includes excellent explanations, details, and background information. The range of topics and collectibles she covers is expansive, from more well-known collectibles to rare, lesser-known items. Warman's Antiques and Collectibles Price Guide provides information on collectible trends in addition to price guides from knowledgeable sources. The publication also includes important information on avoiding fakes and counterfeits, which may be particularly helpful for beginning collectors or those less familiar with certain designers or periods. This is just a small sampling of the guidebooks available. Niche guides are generally produced less-frequently than their comprehensive counterparts. As with books, there are both comprehensive sites and niche sites dedicated to collecting and pricing information. Look for sites that give clear dates for the applicable information. Also, look for the experts or authorities that maintain or contribute to the site to ensure you're reading reputable pricing information. Often, you'll also find other valuable resources and tools on these sites as well. Register for a free account at Kovels.com and you have access to prices for a large database of antiques, including the year that they were sold so that the information can help price the items today. You can also choose from two premium paid memberships that will give you access to even more features such as a fully illustrated pottery and porcelain marks identification guide and a monthly updated guide containing sales reports, editor's picks, a collector's gallery and more. The database also includes over 10,000 clock and watch makers, providing you with valuable information on how to date and identify your antique clock. The site is very helpful with tips on buying and selling antique clocks. Newspapers may have information about antiques and collectibles, including current trend and pricing information, in the arts section. Broad and niche collector's magazines may also have some of this information as well. Look for reputable magazines such as Collector's News, Antique Week, Antique Trader Weekly, Celebrate 365, or visit a site like Mags Direct to search for a collector's magazine that pertains to your interests.